Annual forum at Old Whaling Church hosted by the Hutchins Center for African and African American Research at Harvard University. The Republican party, Donald Trump and the media all came under fire in this year’s Hutchins Forum, in the midst of what will surely be remembered as one of the most consequential presidential elections in modern time. 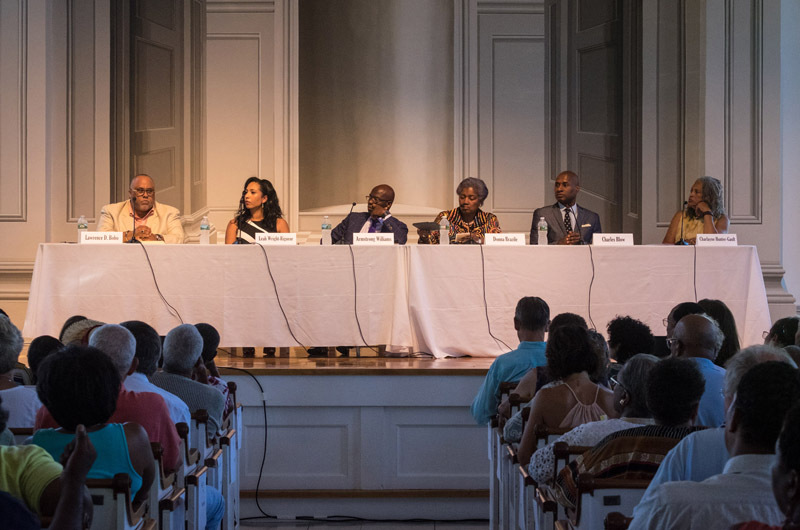 As sunlight dappled the walls of the Old Whaling Church in Edgartown last Thursday evening, a four-member panel of leading media voices held little back during the discussion titled Race and The Race to the White House. 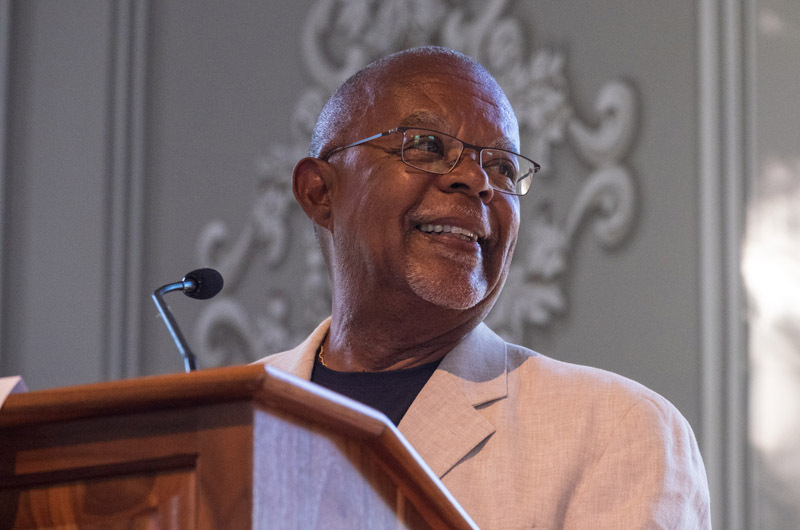 The annual event is hosted by the Hutchins Center for African and African American Research at Harvard University. 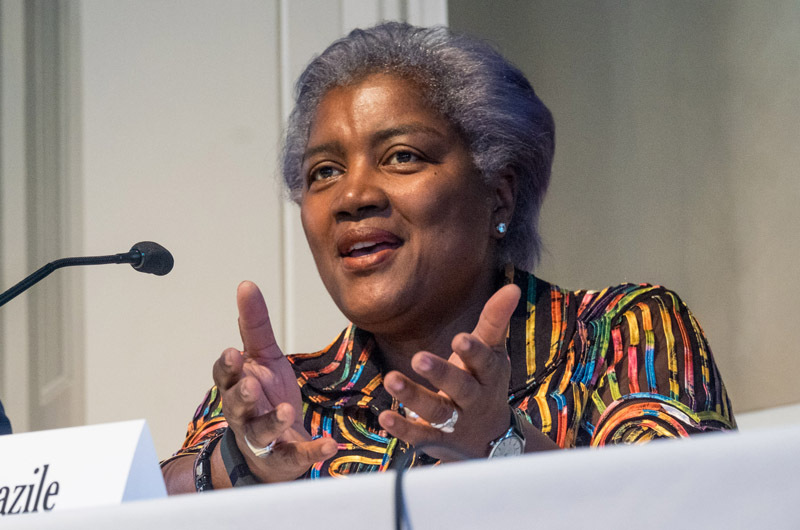 Panelists included Donna Brazile, a longtime CNN contributor and interim chairman of the Democratic National Committee, the conservative radio host Armstrong Williams, Leah Wright Rigeur, an assistant professor of public policy at Harvard, and New York Times columnist Charles Blow. Lawrence D. Bobo, chairman of the department of African and African American Studies at Harvard, offered closing remarks. 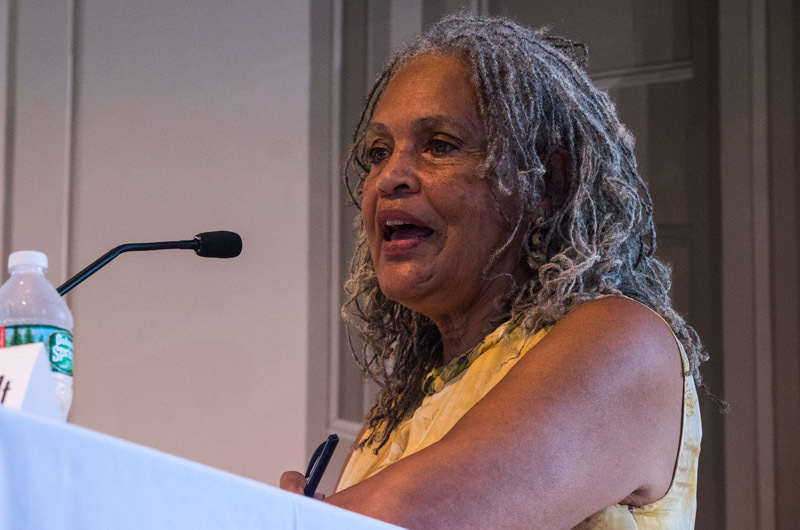 Journalist and Oak Bluffs resident Charlayne Hunter-Gault moderated the panel. Mr. Gates echoed comments by Michelle Obama at the convention drawing attention to the importance of having a black family in the White House, but also looked ahead to the coming years. Race has always played a role in presidential elections, said Ms. Brazile. But she said the level of hostility toward people of color sets this election apart. Looking ahead, she said she hoped to maintain a network of progressive leaders in all 50 states, and to see a woman in the White House come January. 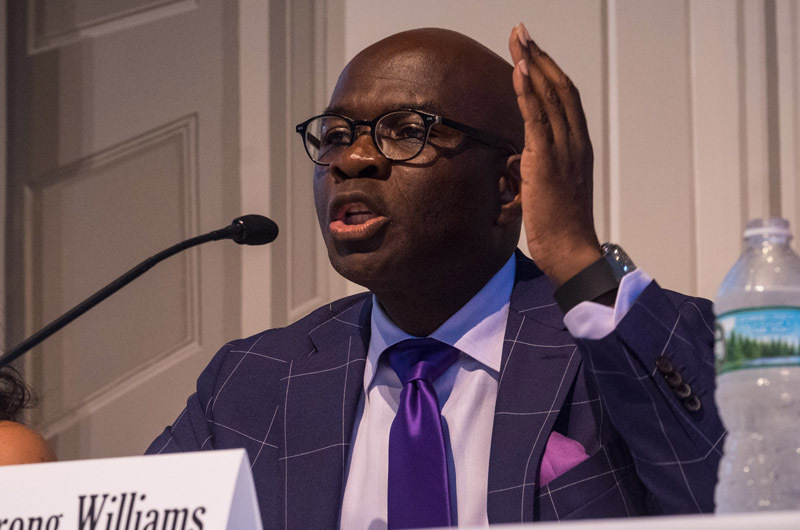 Armstrong Williams provided much fodder for debate. While he agreed that the Republican party had taken a turn for the worse, he stood firmly behind Mr. Trump as the party nominee and argued that Democratic nominee Hillary Clinton was perhaps no better. Panelists agreed that Mr. Trump should reach out to black voters, although some suggested it may be too late, given his track record of offensive remarks while on the campaign trail and an apparent lack of policy proposals. 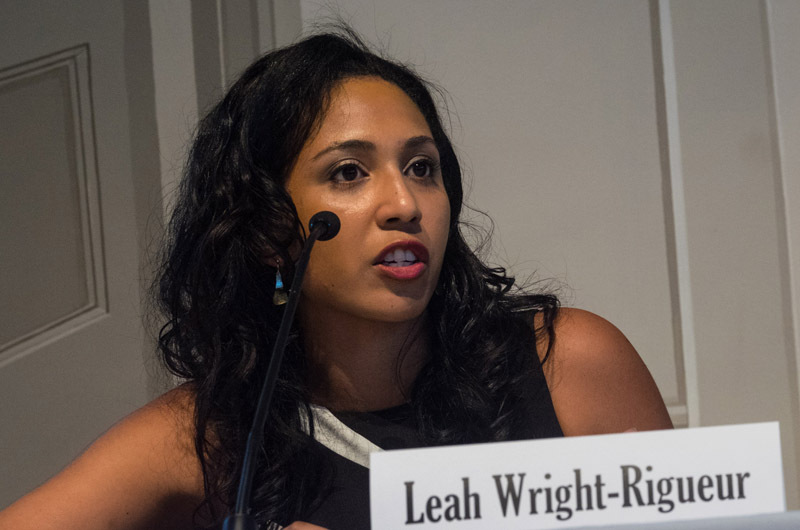 Ms. Rigeur, author of The Loneliness of the Black Republican: Pragmatic Politics and the Pursuit of Power, said she saw Mr. Trump as a symptom of a much larger problem within the party. Discussion focused mostly on Mr. Trump, a wealthy businessman and former television personality, although Mrs. Clinton drew some heat as well. Mr. Blow noted the ramifications of the controversial crime bill that Mrs. Clinton supported in the 1990s, and what he called a “legitimate gripe” among young people of color who blame politicians who supported the bill for greatly limiting their upward mobility. The discussion echoed last year’s forum, which focused on the role of black millennials in the struggle for civil rights; and the one two years ago, which explored Barack Obama’s presidency in the context of race. All the panelists but Ms. Rigeur had participated in 2014. Mr. Williams lamented what he called Mr. Trump’s volatility and lack of leadership at times, but said he hoped the Republican nominee would eventually come around. “If Donald Trump were just to be normal . . . this would be a different race,” he said. But his suggestion that Mr. Trump reach out to students at a historically black college drew laughter from the audience. Mr. Blow, who attended Grambling State University in Louisiana, agreed the idea would never fly. “I believe that there is legitimate hostility to him,” Mr. Blow said. “I think that people feel that he is an affront to everything that is right and good about America.” It was one of many comments throughout the evening that drew applause and cheering. The conversation soon turned to the media, with panelists sharply criticizing an industry they said has cared more about ratings than balanced coverage during the campaign. Ms. Brazile estimated that Mr. Trump has received close to $5 billion in so-called free earned media. Mr. Blow disagreed. “I’m calling a hustle a hustle,” he said. A large number of questions and comments from the audience explored issues including the political and social backlash that often follows moments of progress; and the apparent contradiction of Republicans who call out Mr. Trump’s remarks as racist and yet stand behind him as the party nominee. But he also called out the panel for mirroring the very media they criticized. Picking up on the theme of race and the Obama presidency, Mr. Bobo noted the wall of opposition the president has faced over the last eight years, but also what he saw as notable progress in the area of civil rights. 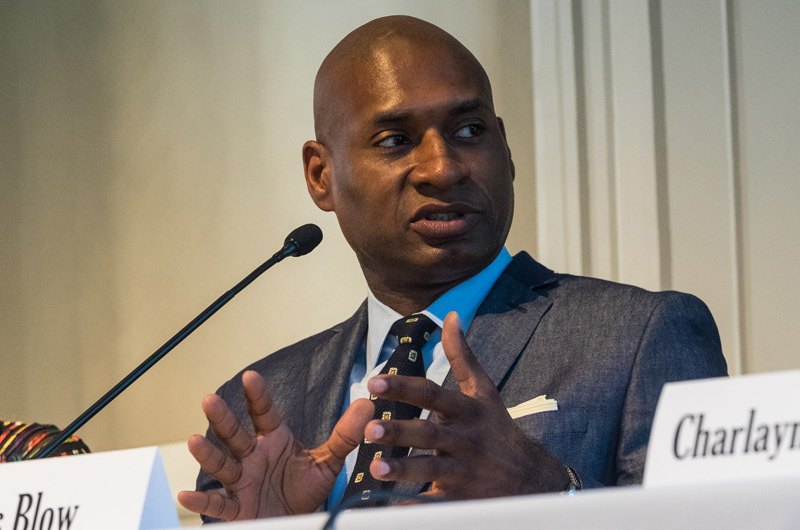 As one example, he pointed to the recent Department of Justice reports on policing in Ferguson, Philadelphia and Baltimore, as having created a foundation for further action. And he remained somewhat darkly optimistic that Mr. Trump’s campaign under the new leadership of Breitbart News chairman Stephen K. Bannon would “triple down on idiocy,” ensuring a Democratic win in November. “We are going to survive this moment,” Mr. Bobo said. FYI Grambling State University is in Louisiana. Thank you for pointing out the error. We have updated the story. A liberal love fest. Blame everything on someone else. What about individual responsibility. I missed this panel. But in my absence let me offer that as to black Americans the main concern is bettering their economic conditions as reported by Gunnar Myrdal in 1944, me and James Blackwell in our 1982 book 'Cities, Suburbs and Blacks: A Study of Concerns, Distrust and Alienation' through current surveys. Which Presidential candidate is most likely to address these concerns in 2016? I am among a rare group of public intellectuals who also has created biotech jobs in inner city Boston starting 30 years ago and am now developing a plan to expand the biosciences industry cluster in Los Angeles County. Whomever succeeds President Barack Obama needs to be more diligent in creating jobs, wealth and businesses in the black community while at the same time encouraging community building in the black community across class lines. I hope the Hutchins panel next August can focus on strategies to better the economic condition of black Americans.